University of Sri Jayewardenepura (USJ) is one of two leishmaniasis referral centres identified by the Ministry of Heath Sri Lanka, also conducting diagnostics related to other parasitic diseases and PG/UG education. Dr. Bimalka Samanthi Seneviratne is a Consultant Pathologist & Senior Lecturer, at the Department of Pathology, and Current Head of the Department of Allied Health Sciences, Faculty of Medical Sciences, University of Sri Jayewardenepura. She has been Head of the department of pathology from January 2010 to December 2012. She completed her Postgraduate training in Histopathology at the Royal Prince Alfred Hospital in Sydney, Australia. Her special interests include the interpretation of renal allograft biopsies, IgG4- related systemic diseases and breast and thyroid pathology. Dr. Seneviratne was the President of the College of Pathologists in 2017. 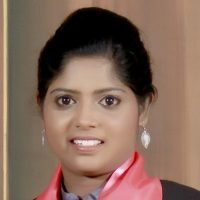 She has been a supervisor of MPhil and PhD students of the Faculty of Graduate studies, University of Sri Jayewardenepura. . She has presented research papers at both international and local conferences and authored several publications in peer reviewed and indexed journals.She was the secretary of the Board of study in Pathology from 2006 – 2009 and currently a trainer and an examiner for the Postgraduate Institute of Medicine in the disciplines of Molecular Medicine, Histopathology, Dental Pathology, Legal Medicine, Surgery (selection examination),Obstetrics & Gynaecology and Ophthalmology. She is the present Director, Centre for Cancer Research at the University of Sri Jayewardenepura. Dr. Bimalka is providing honorary consultancy to the Sri Lankan arm of the MRC-GCRF project. Lakma Abhayarathna is the Research Assistant of the Department of Parasitology in the Faculty of Medical Sciences at University of Sri Jayewardenepura currently working as a research assistant on the GCRF research project. She has obtained her Bachelor of Science in Nursing (Special) Honors degree from Faculty of Medical Sciences, University of Sri Jayewardenepura. She worked in the Nursing Department of the Faculty of Medical Sciences, University of Sri Jayewardenepura as a Nursing Demonstrator and has been awarded a scholarship by Swedish Linnaeus Palm student exchange program in 2016 at Kristianstad University in Sweden. During her studies at Kristianstad University in Sweden she followed Global Health Course and Applied Clinical Nursing Course in Primary care and Pediatric/ Obstetric in Nursing. Due to her academic excellency and extracurricular activities she has been awarded by the Silver Medal as a Best Employability Skills Achiever in the Faculty of Medical Sciences, University of Sri Jayewardenepura in 2016. She has done research presentation at international research conference of Non Communicable Diseases in Malaysia and international research conference of General Sir John Kotelawala Defense University in Sri Lanka. She is currently following M.Sc. in Integrative Health Science at Kristianstad University in Sweden. Currently she is involved in data collection and data entry of the MRC-GCRF project along with the rest of the Sri Lankan Team. 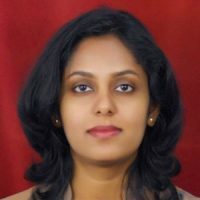 Shalindra Ranasignhe is the current head of the Department of Parasitology in the Faculty of Medical Sciences, University of Sri Jayewardenepura, Sri Lanka. She has also been a Senior Lecturer in Medical Parasitology for more than 10 years. She obtained her Bachelor of Medicine & Bachelor of Surgery (MBBS) degree from the Faculty of Medicine, University of Colombo. 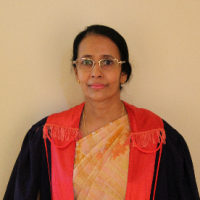 Her M.Phil degree (from Keele University) was on “Chemical and molecular studies on Leishmania manipulation of Lutzomyia longipalpis blood feeding behaviour” and her PhD (from University of Sri Jayewardenepura) was on “Molecular detection and sero-prevalence of Leishmania donovani & risk factor analysis in selected areas in Sri Lanka”. During her tenure she was able to isolate the visceral leishmanisais causing strain in Sri Lanka for the first time and contributed to the nomenclature of the strain. She had also submitted both cutaneous and visceral leishmaniasis causing strains in Sri Lanka to world experts to carry out the whole genome sequencing ad annotation of both these strains for the first time. This collaborative work with world experts led to a hypothesis of cutaneous leishmaniasis causing L. donovani in Sri Lanka is naturally attenuated and therefore could be a potential vaccine candidate in future. Shalindra also developed her laboratory to become one of the leishmaniasis reference centres identified by the Ministry of Health Sri Lanka. The work carried out in her laboratory extends from slit skin smears, to PCR and recombinase polymerase assays on leishmaniasis. Her laboratory carries out patient diagnosis as a service component, research and teaching both undergraduate and post graduate students. 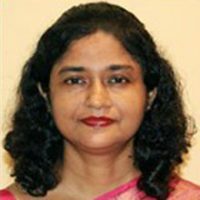 Shalindra has co-authored in several papers in indexed journals with high impact factors including PLoSPath, Vaccine, Journal of Proteome Research & ASTMH. She has many local & foreign collaborations and continues her work in a service oriented and innovative manner. Dr. Sujai Senarathne is a lecturer in the Department of Parasitology, Faculty of Medical Sciences, University of Sri Jayewardenepura, Sri Lanka and currently following the MD in Medical Parasitology at Postgraduate Institute of Medicine, University of Colombo, Sri Lanka. She will be conducting the field work of GCRF project in Sri Lanka. Efficacy of a new rapid diagnostic test kit to diagnose Sri Lankan cutaneous leishmaniasis caused by Leishmania donovani	De Silva G, Somaratne V, Senaratne S, Vipuladasa M, Wickremasinghe R, Wickremasinghe R, Ranasinghe S Cutaneous leishmaniasis (CL) in Sri Lanka is caused by Leishmania donovani. This study assessed the diagnostic value of a new rapid diagnostic immunochromatographic strip (CL-Detect™ IC-RDT), that captures the peroxidoxin antigen of Leishmania amastigotes.